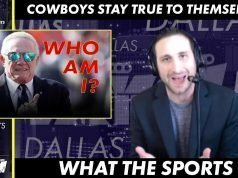 Whether or not the Cowboys season would be considered a success is up for debate. 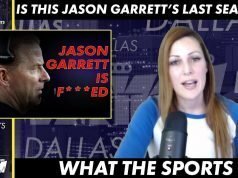 What isn’t is how the Dallas Cowboys fan react after losing the Rams in the divisional round of the playoffs. You watched, you know what happened. 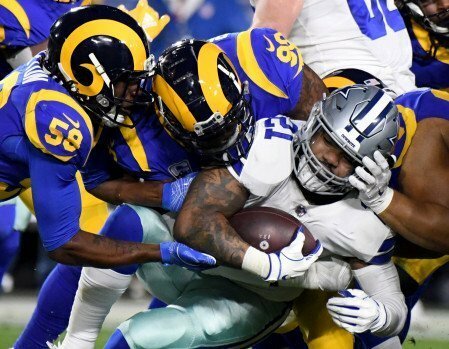 After beating the Seahawks, the Cowboys faced off in a virtual home game in LA against the Rams. Close to 40% of the stands were Cowboys fans. The offense was hated. The defense was porous. The Rams won 30-22 and it wasn’t even that close. Can’t blame the fans. They showed up in force! Who didn’t show up in force? Zeke. Is Scott Linehan the fall guy? Is he one the first to go? What happens if the #Cowboys keep Scott Linehan as the offensive coordinator, well I lose my damn mind….. Anyone think he’s to blame? The Rams did rush for 238 years. 123 from CJ Anderson who looked like he was 100 lbs over playing weight and a 7.2 yards per carry average from Todd Gurley. 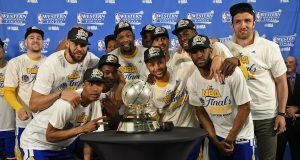 Mr. Jones needs to retire his GM post and let Stephen take over the ownership responsibilities. Will McClay promoted to GM, he deserves it and makes excellent personnel decisions. No Garrett extension, 1 more year. Rod Marinelli retire an Kris Richard to DC. FIRE Scott LINEHAN! It does seem the fan base is rallying around Dak. He’s in a system that allows his natural gifts to shine. I wish the same for Dak Prescott; he needs an OC who can use his natural gifts, not stuff him into a box. the biggest question coming into the season was do the Cowboys have a franchise QB in Dak Prescott? The answer once they acquired Cooper, was yes. No one picked them to win the division nor host and win a playoff game. What is your take on the season? Who should go? Who should stay? 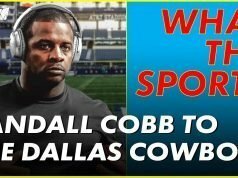 Did the Cowboys find their franchise quarterback? Next articleRoughing the Pundit! Changing of the Guard in the NFL?